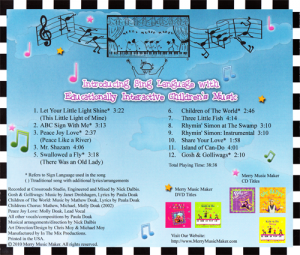 Sing, Sign and get Silly with this Parent’s Choice Approved CD. 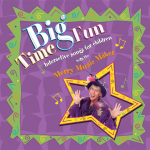 This interactive, educationally based CD combines story songs and imagination with sign language to create an interactive experience. 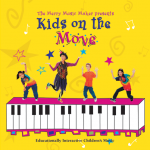 The 24 page booklet of signs help navigate the beginner in sign language. 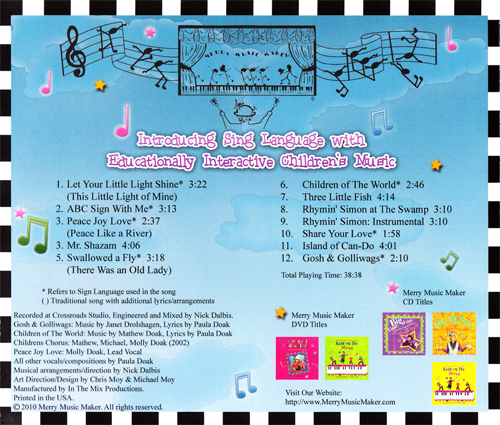 The variety of musical styles makes this CD enjoyable for all ages. 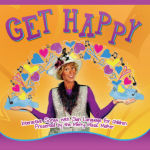 Used by preschools and kindergartens across the country.